The proposed $105 billion deal could spur a wave of additional M&A in the semiconductor space. Broadcom Ltd.'s (AVGO - Get Report) stunning $105 billion bid ($130 billion including debt) for Qualcomm Inc. (QCOM - Get Report) may end up being the biggest chip deal ever, but it certainly won't be the last. The offer, which values Qualcomm at $70 a share, would mark not just largest deal ever in the semiconductor space, but the largest acquisition in the technology sector ever. If consummated, the tie-up would bring together the third and fifth largest semiconductor companies in the world, creating the world's No. 3 chip supplier, according to Gartner. Intel Corp. (INTC - Get Report) and Samsung Electronics Corp. (SSNLF currently hold the No. 1 and No. 2 spots, respectively. A merger between Broadcom and Qualcomm is hardly a done deal, of course; Qualcomm is said to have already rebuffed the initial offer and any deal would likely face significant anti-trust scrutiny. But it illustrates just how big semiconductor M&A has become. A healthy average of 42 deals have been done in the chip sector each year since 2007, according to data from M&A, private equity, and venture capital database PitchBook. But the average size of each deal has risen considerably. In 2014, the median semiconductor deal size was $200 million, up from $33.5 million in 2013. Since then, the median deal size has consistently been above $150 million. And this year's levels are already headed in that direction. The recent proposed deal do beg one question, however. If many of the semiconductor market's biggest players are already engaged in talks or have finalized a deal, how much for additional M&A is there for chipmakers in 2017 and beyond? 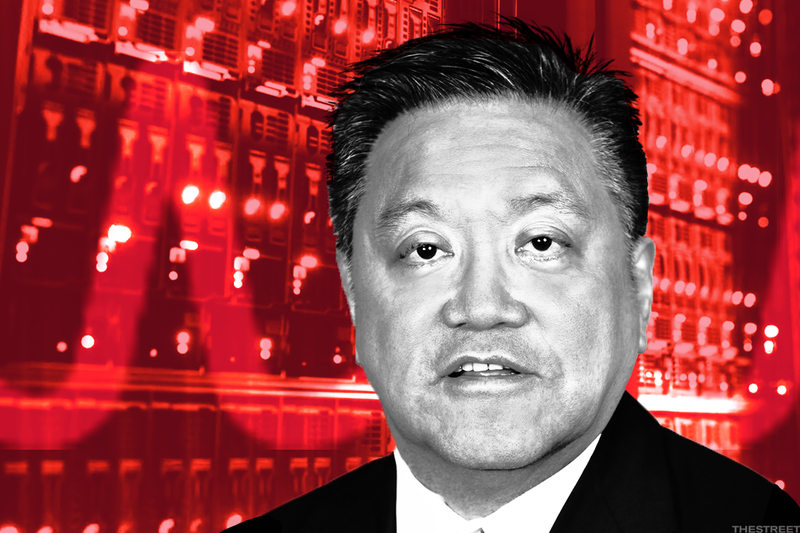 According to experts, we're unlikely to see many more blockbuster deals that are at the scale of a Broadcom/Qualcomm tie-up, but there could be room for smaller, tuck-in acquisitions in the space. "I think we are towards the end of major consolidation deals in the semiconductor industry, with few large targets left," said John Abbott, vice president of infrastructure research at 451 Research. "This deal is already a consolidation of the two consolidators behind the industry's two largest consolidations." Avago Technologies in Feb. 2016 acquired Broadcom for $37 billion -- it later took Broadcom's name -- and that acquisition still ranks as the largest semiconductor deal in history. But Qualcomm's pending $47 billion purchase of NXP Semiconductors (NXPI - Get Report) , if completed, would outrank the Avago deal. Since 2007, the semiconductor industry has shrunk by more than half, from 118 public companies to 55, noted Stifel analyst Kevin Cassidy. This has been good for the chip market for a variety of reasons, said Cassidy. Through consolidation, companies are able to increase their leverage over the market through greater operational synergies and improved efficiency of capital expenditures. "Meanwhile, investors have significantly fewer options to gain exposure to the semiconductor industry, driving up prices through a simple supply/demand relationship," Cassidy said. Moreover, the pace of M&A in the chip sector is likely to keep accelerating as more and more devices become connected. Legacy chipmakers, such as Intel, Qualcomm, Samsung and others, will either move to enter these emerging markets themselves (as many have through data center chips and chips catering to the Internet of Things space), or acquire smaller companies that have already carved out a slice of the market. "I hate to say it, but the business plan for startup companies is to be acquired instead of pursue an IPO," Cassidy explained. "There's still some private companies that are interesting that may never get to IPO but would instead be acquired." Cassidy pointed to Intel's $400-million acquisition of deep learning chipmaker Nervana Systems Inc. in Aug. 2016 as an example. Even mid-sized semiconductor companies are beginning to recognize that it's best to attack a new market via acquisitions, rather than spending tons of money on R&D to build their own technologies from scratch. Both Cypress Semiconductor Corp. (CY - Get Report) , which focuses on flash memory, and analog chipmaker Microsemi Corp. (MSCC said in recent earnings calls that they prefer M&A over organic growth, noted SunTrust Robinson Humphrey Inc. analyst William Stein in a recent note. The semiconductor M&A market is heating up. Cypress, in particular, said it is planning to be an acquirer but also is open to being acquired and stated that, either way, it will be part of a larger company over the next several years, Stein said. "You've got CEOs that are pretty confident in the tech sector, they've had some good earnings, revenues are doing really well," said Paul Nolte, senior vice president of Kingsview Asset Management. "Companies are trying to buy growth. They've got a build-up of cash and are asking themselves, 'What am I going to do?'" Acquisitive companies now have plenty of markets to choose from when scanning for potential faster-growing targets. The popularity of ultra high-end phones such as Apple Inc.'s (AAPL - Get Report) iPhone X has generated demand for a long list of parts, many of which are sourced from specialized component makers such as Cirrus Logic (CRUS - Get Report) , which makes chips that power the iPhone's audio systems. Artificial intelligence is another enticing market. "Two of the best independent prizes left are Nvidia Corp. (NVDA - Get Report) and Xilinx Corp. (XLNX - Get Report) , both of which are key players in the current trend to deploy specialist silicon accelerators in the data center, and in AI/machine learning and the internet of things," Abbott said. "They are as likely to be bought by systems vendors as by other chip companies." Another potential target, fabless chip company Ambarella Inc. (AMBA - Get Report) , makes chips that power video processors in GoPro GPRO drones and other cameras. Ambarella recently outfitted its chips with computer vision and AI capabilities, Cassidy said. "They'd be interesting for a larger company that might have computer power further [along] in the data center," Cassidy explained. "They might want someone who has computing power on the edge of the network, too, like Ambarella." In the data center space, Mellanox Technologies (MLNX - Get Report) could be attractive, while a tie-up between Marvell Technology Group Ltd. (MRVL - Get Report) , which makes chips for hard disk drive storage units, and Cavium Inc. CAVM, which focuses on networking and data centers, has also reportedly been in the early stages. Some pie-in-the-sky scenarios could also see Intel scooping up Micron Technology Inc. (MU - Get Report) to gain exposure in the volume memory market, Abbott said. Another scenario might involve Advanced Micro Devices Inc. (AMD - Get Report) being acquired by Samsung, in order to compete more directly with Intel, he noted. 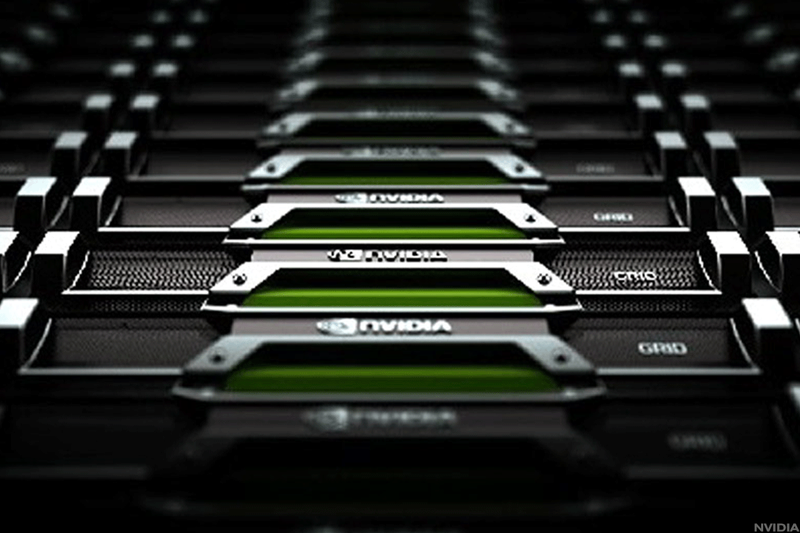 Cassidy added that Nvidia's big cash pile could mean that it'll soon be on the prowl, especially as it continues to compete with legacy chipmakers such as Intel and Qualcomm. "Everybody needs scale," Cassidy said. Broadcom, NXP, Apple and Nvidia are holdings in Jim Cramer's Action Alerts PLUS Charitable Trust Portfolio. Want to be alerted before Cramer buys or sells AVGO, NXPI, AAPL or NVDA? Learn more now.